The WordPress Kathmandu, Nepal November 2016 Meetup completed successfully today. Although held as the regular monthly meetups, the WordPress Nepal meetup event was somehow different. 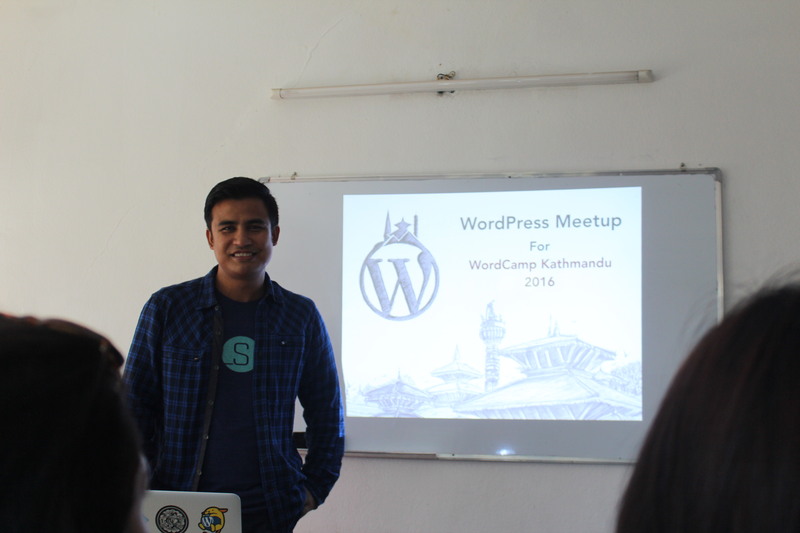 In our last post, we told you that Mr. Sakin Shrestha would present a brief talk on WordCamp Kathmandu. And as per plans, he did. With a presentation titled “WordPress Meetup for WordCamp Kathmandu 2016”, he informed us of the reason we were holding WordCamp Kathmandu instead of WordCamp Nepal this year. Advised by WordCamp Central, hosting a WordCamp Kathmandu paves the path for WordCamps to happen in other cities. We’re hoping for news of WordCamp Pokhara really soon. In his presentation, Sakin quoted, “WordPress Nepal isn’t yours or mine, it’s ours.” Although they(Sakin, Chandra, and Ujwal) started WordPress Nepal, he says there has to be an approach to WordPress Nepal in a way that everybody feels responsible and wants to uplift the community. 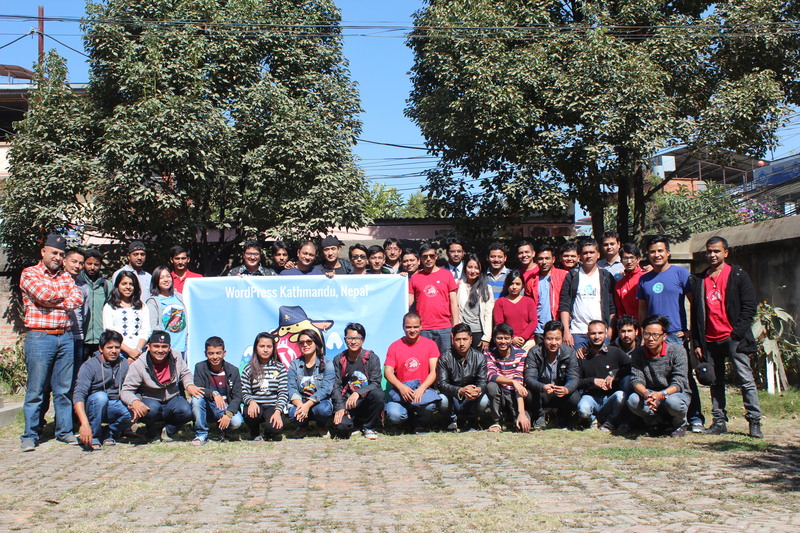 “WordPress has affected so many lives of the Nepalese youth in a positive way and we should always be grateful and give back as much as we can,” says Sakin. In addition to thanking the sponsors, organizers, volunteers, speakers, he also let out a fun-fact about this year’s WordCamp sponsors. The overwhelmingly positive response led to the filling up of sponsor slots within just 3 weeks of announcement. A commendable achievement for a growing WordPress community. Additionally, Sakin encourages everyone to apply for scholarships. This year itself, WordCamp Kathmandu had announced 5 full scholarships and 5 student discounts, and there was a lack of applicants. We Nepalese tend to be apprehensive towards things like these as we think, “I just won’t get the scholarship” so we tend to skip applying altogether. But filling one form isn’t too difficult and then, you never know. You might just get it. This time around in WordCamp Kathmandu, there will be a Swag store where you can get all sorts of WordPress Swag like t-shirts, badges, stickers and more. We will also see a Happiness Bar where you can go ask for expert advice in case you’re having any problems. And, there will be an After-party at Moksh Bar, Jhamsikhel. 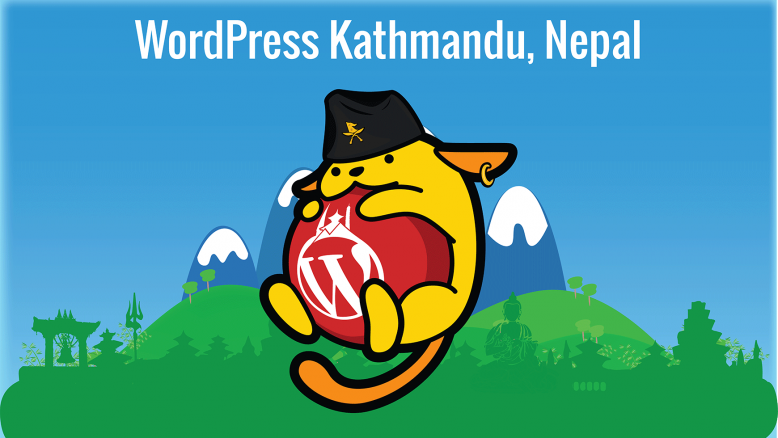 Moreover, we were introduced to Wapuu – KTM, the official mascot of WordCamp Kathmandu. Designed by Pinjal Pradhan, this version of Wapuu depicts Nepal with the Bhadgaunle Topi with a cross pin of Khukuris. The WordPress logo is encircled in with the silhouette of the mountains and the Nepali architectural building. Towards the end of the programme, the floor was opened for discussion as to what plans or dreams everyone had for the future of WordPress Nepal. We will hopefully see a fully translated version of WordPress 4.7 in Nepali, should everything go as planned. Sakin also advised everyone to keep up with the meetups in other cities. Even if your group is small, you could still have a small meetup while also meeting for coffee or lunch. “You need to be consistent with the meetups, no matter how small the group. You could also do it virtually, on slack or hangouts,” said Sakin. Finally, the WordPress Nepal meetup ended with a photo and short video shoot which Sakin will be taking with him for his presentation in WordCamp US 2016 the next month. Hope to see you all in WordCamp Kathmandu 2016. If you have anything you’d like to share, feel free to drop us your comments below. ← Previous Previous post: WordPress 4.7 Beta 2 is Now Available!